Having explored the worlds of banking and urban governance in senior positions, Padmaja Iyengar - Paddy is currently the Hon. Lit. 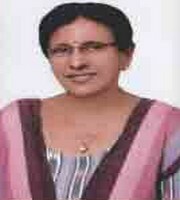 Advisor of The Cultural Centre of Vijayawada and Amaravati (CCVA). She recently compiled, curated and published for CCVA the International Multilingual Poetry Anthology 'Amaravati Poetic Prism 2016' that has a record 527 poems in 53 languages! It has been recognized as a Unique Record of Excellence by the India Book of Records. She also manages an on-line literary networking forum tvtviv.ratemyliterature.com that provides a free platform to writers to showcase their works. Her English poems, articles, short stories etc. have appeared in numerous e-zines, leading newspapers and National and International anthologies. 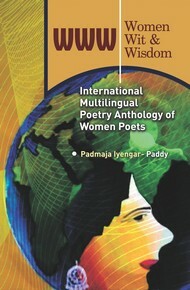 Paddy's maiden poetry collection 'P-En-Chants' has been reckoned as a 'Unique International Record of Excellence' by the India Book of Records and the Wonder Book of Records International for Never-before-attempted Movie Reviews and Management Topics in Rhyming Poetry form. Paddy is also regularly invited to literary and poetry events to present her poems, the latest being an invitation to Malaysia to read her poems at die 7th Pangkor International Poetry & Folk Song Festival at Malaysia in December, 2016 and to the SAARC Literary Festival at New Delhi in February, 2017 as an Indian Delegate to read her poems. Paddy regularly participates in discussions on civic and urban governance issues on the electronic media. She was a part of the Round Tables on Smart Cities organized at Hyderabad by the Deputy British High Commission and Foundation for Futuristic Cities. Paddy writes for pleasure - finds humor in everything. P G Wodehouse being her all-time favorite and inspiration!